…is to cool the fires of inflammation in your body. Yet, what most people don’t know is the best place to start is NOT with NSAIDs, prescription painkillers, or surgery. And scientists have pinpointed 12 most powerful anti-inflammatory foods that can bless your body with healthier, more flexible joints and LESS pain. Simply because they are so effective at preventing — and even reversing — achy joints and arthritis. That many Americans eat every single day. 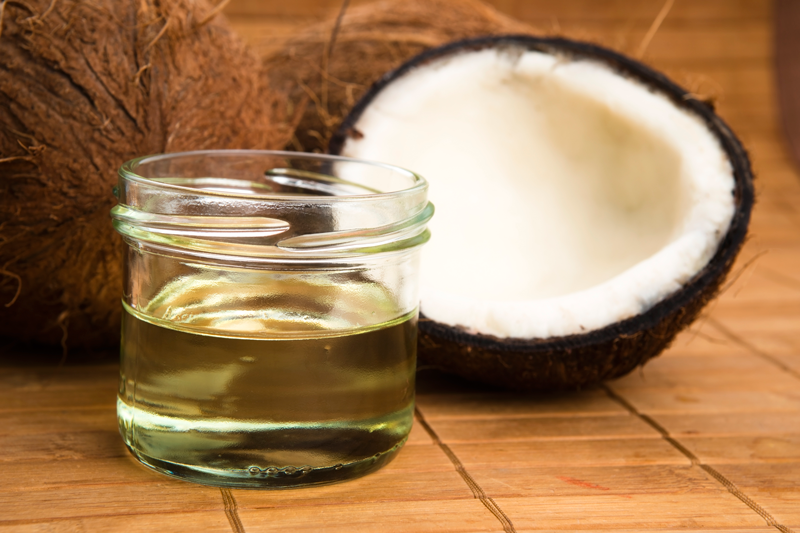 This oil from the fleshy fruit of the coconut is packed with health benefits such amazing anti-inflammatory properties that it has even been shown to stop the damage of arthritis. This is my personal favorite because it has so many joint healing properties. Not only is it one of the best anti-inflammatories around, the collagen in bone broth helps rebuild your damaged joints to give them back that youthful feel. You can drink it on its own or use it in your other recipes to amp up their healing power. These fruits are great sources of proteolytic enzymes, which reduce swelling, eliminate fibrin deposits that cause pain and limit your joint motion, and help you feel better fast. Pineapple is rich in bromelain, a proteolytic enzyme with powerful health benefits. Leafy greens such as kale are rich in antioxidants like Vitamins A and C that stop free-radical damage, preventing premature joint aging. Another antioxidant powerhouse, beets help repair cell damage and as a bonus are chock-full of magnesium to help in the battle against pain. With 2-3 times more anti-inflammatory Omega 3s than conventionally raised beef, grass-fed is the way to go to reduce inflammation in your joints and get rid of those aches and pains. Like the red meat of grass-fed beef, this fatty fish is rich in Omega 3 fatty acids that reduce chronic inflammation and inflammatory compounds to lower your risk of arthritis. The “secret” anti-inflammatory in blueberries is quercetin. On top of being a potent antioxidant, quercetin reduces inflammation, boosts your immune system and even fights off viruses. Its high chlorophyll content along with vitamins A, E and K make alfalfa a vital anti-inflammatory to add to your diet. Add alfalfa sprouts to your salads for a quick inflammation fighting lunch. Walnuts and almonds are pack-full of Omega 3s that have anti-inflammatory effects. You can add them to your salads along with alfalfa or eat a handful for an easy snack. This root has been used in Indian medicine for thousands of years. Ginger not only helps reduce immune system reactions that lead to inflammation, it also prevents cell damage. And, it makes an ideal seasoning because it’s so flexible — you can use it in anything from tea to ice cream. These mushrooms reduce food allergies and sensitivities that increase inflammation while at the same time building your muscles and bones and improving the symptoms of arthritis. They can be baked, sautéed, or even eaten raw. You can add in all of these foods to your diet or just a few. The point is to be consistent. The more often you eat foods that fight inflammation, the better your joints will feel! Aren’t there foods that could make your joints feel WORSE? These are the foods that do so much damage to your joints that they can cause a healthy, active, young person to develop inflammatory diseases like arthritis — and one of them is even a vegetable! Worst of all, they’re probably in your kitchen right now. Check out the 5 WORST foods for arthritis and joint pain right here. Ready to eat your way to a pain-free life? 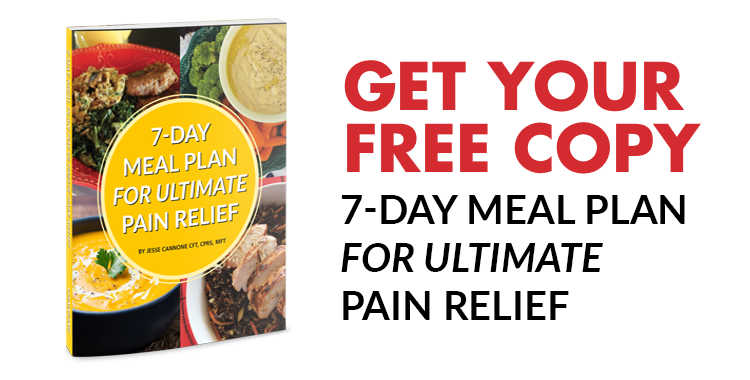 Try our 7-Day Meal Plan for Ultimate Pain Relief. It’s free and you can download it right here. Harvard Medical School. Foods That Fight Inflammation. Harvard Women’s Health Watch. 2015 Oct 26. What a great article. Good to see Salmon in this list as I eat it a lot. I know the arthritis problem as my mother has for several years. Sometimes it is difficult for her to walk. It is great to see papaya and blueberries in this list. I will buy these everyday for her. One of my friends has recently suggested to buy dietary supplement for her. yes these foods stop the pain of arthritis. you left out turmeric. it is so good for inflamatories. I dont have arth. Im in top shape. But when i sit & get up. Im very stiff in the knees. So i eat standing & keep moving. Waiting for your product to arrive. This problem arose from nowhere about 5 weeks ago.?? Please keep us posted of your progress. You have shared an informative blog post. I just want to ask that What exactly Causes the lower back pain? Thank you for your question. We believe that education is the number one step for anyone and key for dealing with back pain issues, so we have produced our Free book “The 7 Day Back Pain Cure” in order for people to inform and educate themselves. 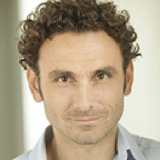 have just started taking your product…am excited.